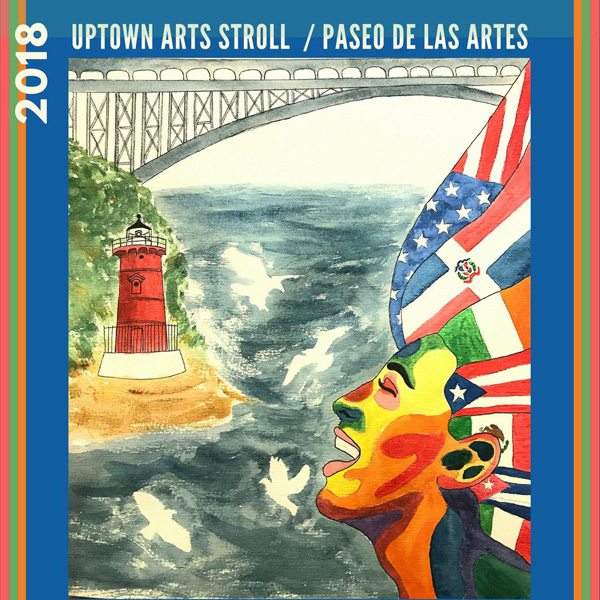 “Because it is a highly desirable venue, a wide variety of uptown artists compete in contests to have their work chosen and displayed as posters in our subway elevators,” says Rosa Naparstek, Artists Unite Director and Poster Program curator. The Artists Unite-MTA Poster Project emerged from an eight-year collective effort to bring art into our subway elevators. The original display of personal neighborhood pictures and posters in the elevators at the 181st (184th Street exit) and 190th Street A-Train stations played a vital role in bringing our community together. When they were removed in 2001, it was a profound loss. Residents of Washington Heights immediately collected more than 3,000 signatures to bring the pictures back.